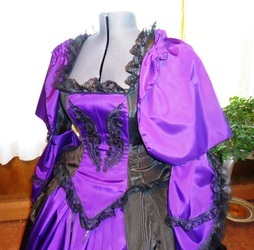 to fit up an additional two sizes. The bodice is trimmed with lovely black lace and has a beautiful beaded black appliqués on the front panel. 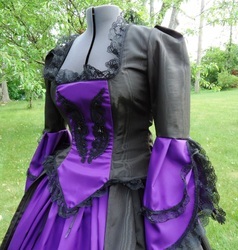 As was the fashion of the Victorian era, the bodice is meant to be worn snug to the body. 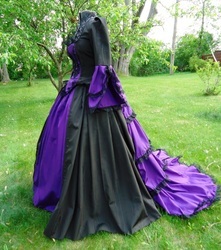 The elbow length sleeves are semi-fitted and finished with two layers of taffeta to create a bell shape extending to wrist. 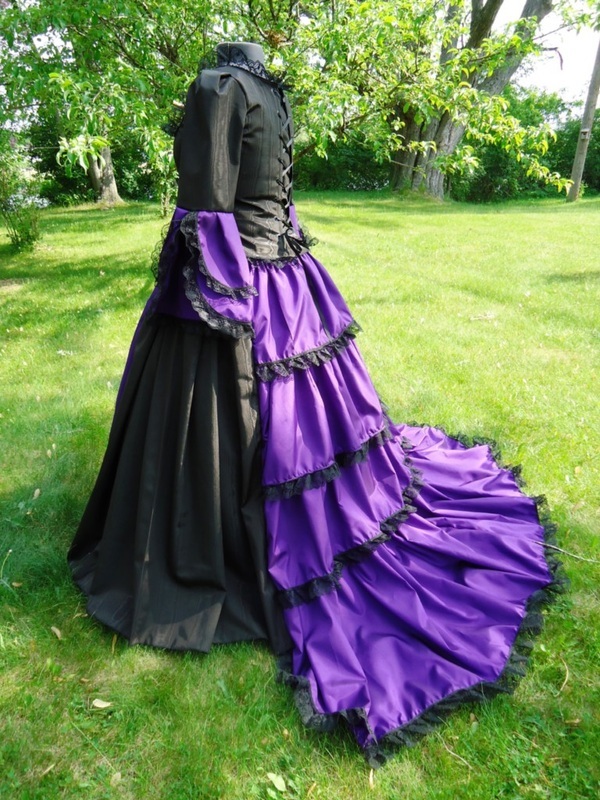 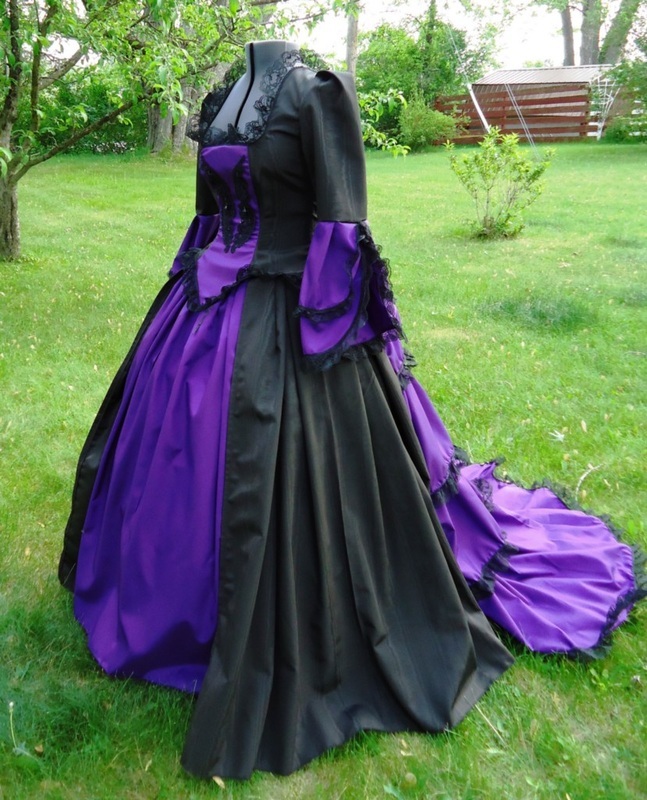 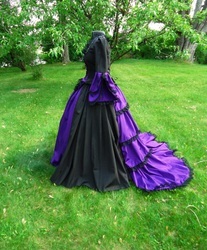 The overskirt has black moiré taffeta sides, while the back is 4 layers of ruffled taffeta with a train. It has a set waistband that ties in the front for greater adjustability and comfort. 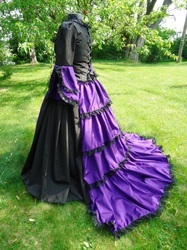 The full underskirt is taffeta and features an elastic waist. 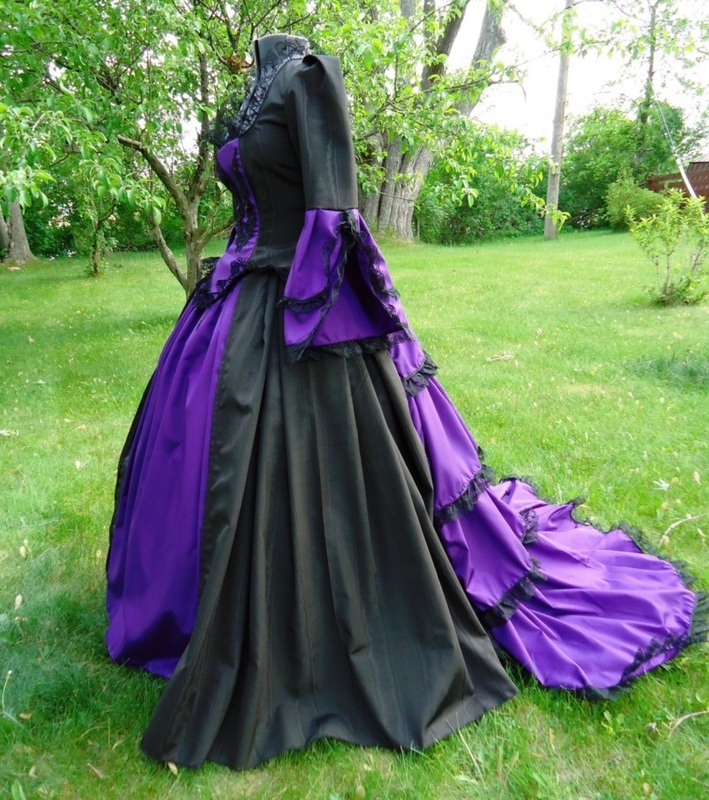 Also included is a simple unfitted shawl in matching taffeta. 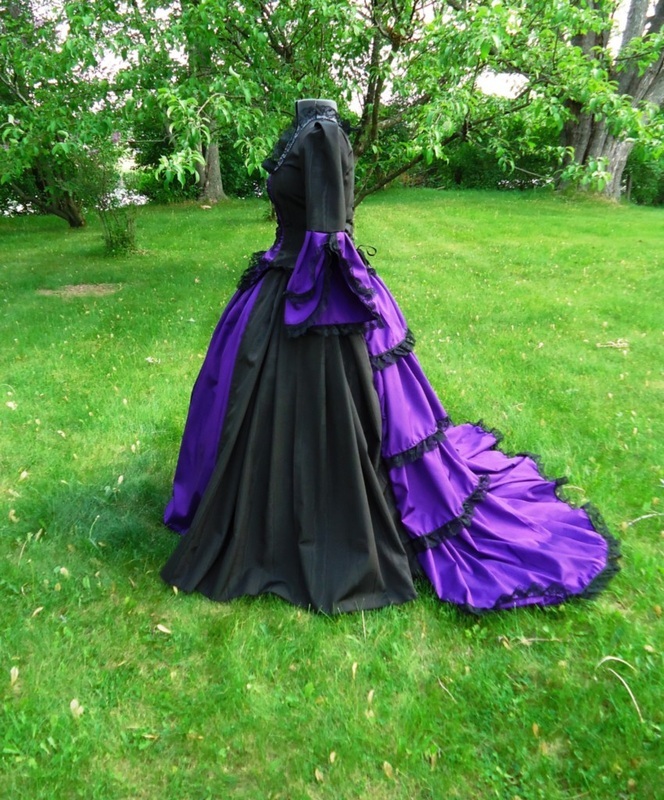 This gown is shown over a hoopskirt which is not included.